the legend of the best team in the dwarven leagues arises. and their folk's passion for their sacred sport. A team determined to reach glory in the competition. A team determined to stop the rival's advance. A team ready to defend like a shield. A team ready to smash like a hammer. They are the Iron Forgers !!" 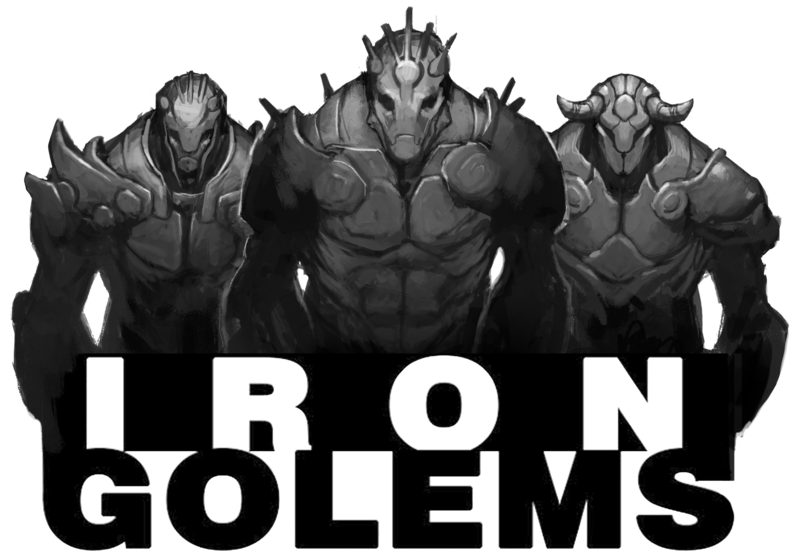 The Iron Forgers Fantasy Football Team is Iron Golems first released product. After a very successfull crowdfunding campaign we have been able to create a broad number of miniatures for this dwarf team masterfully sculpted by Pedro Ramos. At our store you can find all the available miniatures, not only including the base players but also two deathtroller models and a wide range of star players and team staff. "Defend like a shield, smash like a hammer!"